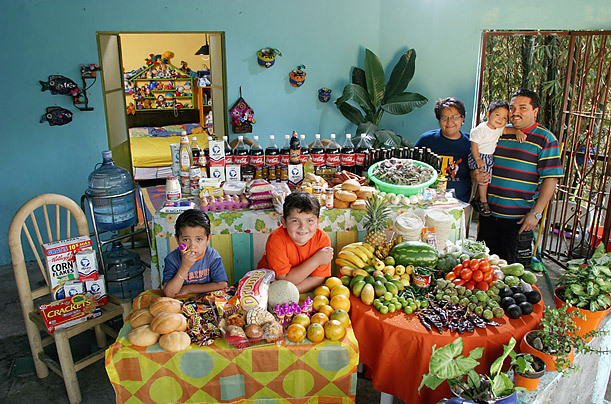 This photographic report exposes the proliferation of processed foods in the Western diet and in the diets of many developing countries the world over. 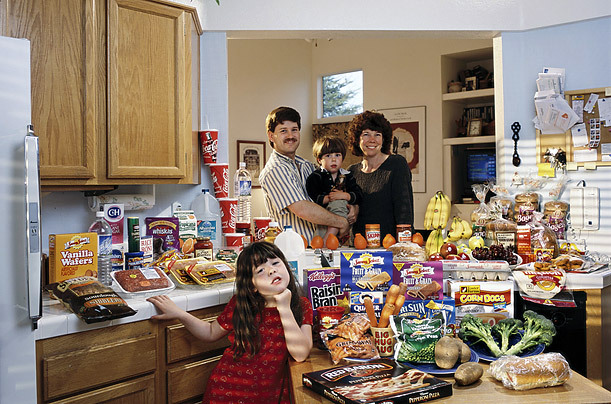 Is it any wonder that we are seeing increases in diet & lifestyle related diseases? What are your thoughts? 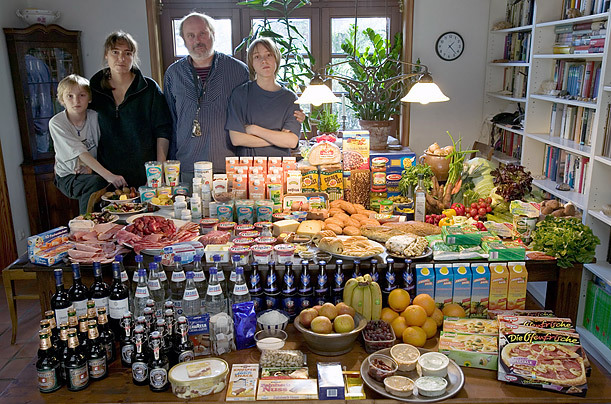 These images are from the book 'Hungry Planet: What the World Eats' by Peter Menzel and Faith D'Aluision. 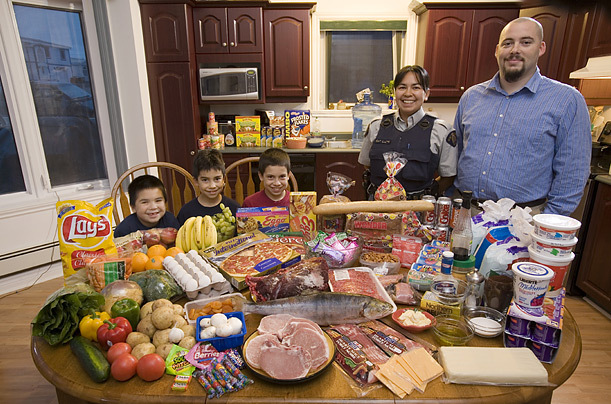 It's an inspired idea: to better understand the human diet, explore what culturally diverse families eat for a week. 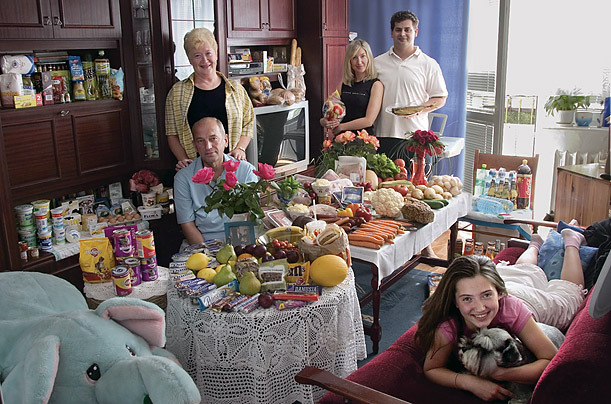 Their portraits feature pictures of each family with a week's worth of food purchases. 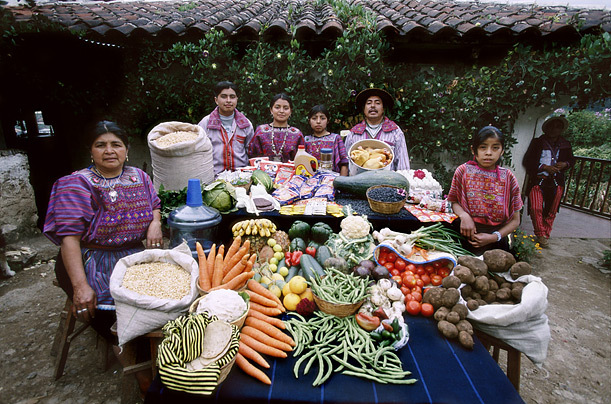 We soon learn that diet is determined by largely uncontrollable forces like poverty, conflict and globalization, which can bring change with startling speed. 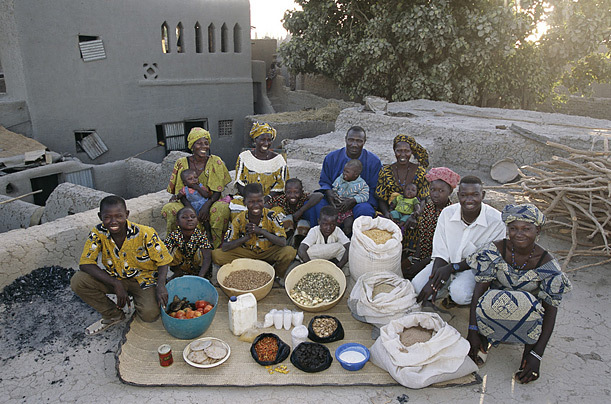 Thus, cultures can move, sometimes in a single jump, from traditional diets to the vexed plenty of global food production. 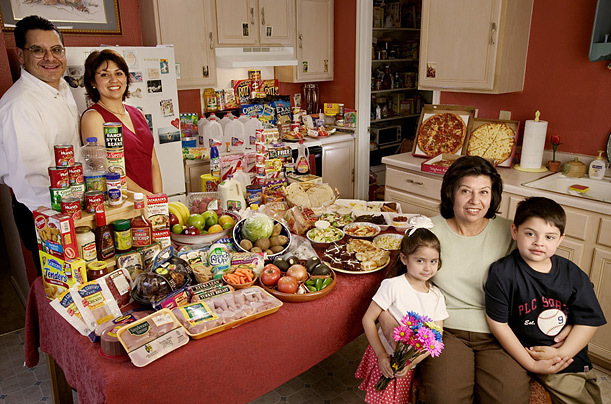 People have more to eat and, too often, eat more of nutritionally questionable food. And their health suffers. Which Shocked You The Most? 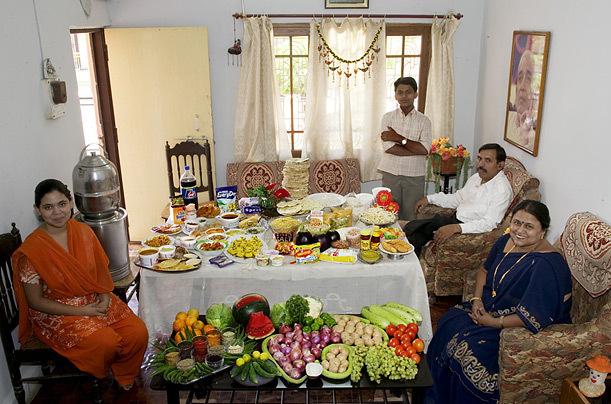 And How Does Your Week Look Like In Food? 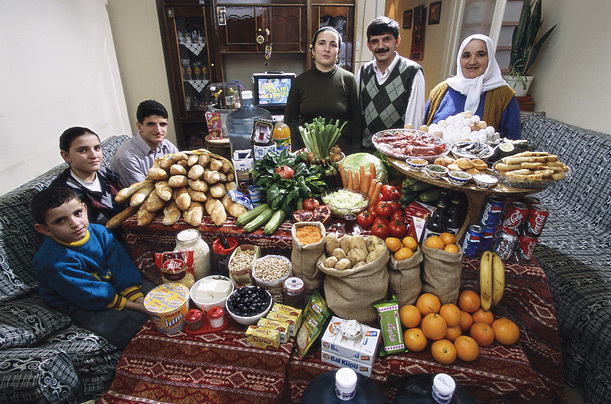 A study of what 30 families living around the world eat in one week shows the huge gulf between the diets of different nations. 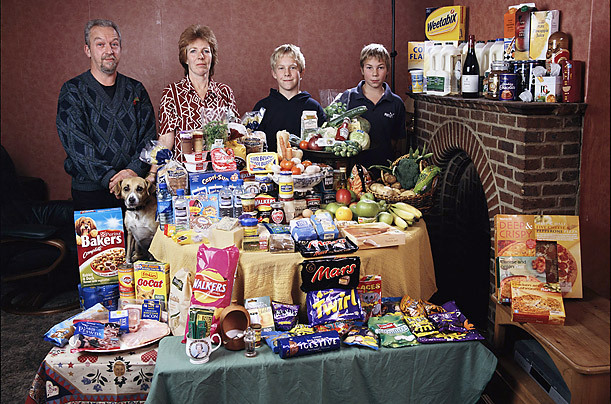 Crisps, biscuits and chocolate treats dominate the shopping basket of the Baintons from Britain who spend an average of £155 every week to feed their family of four. 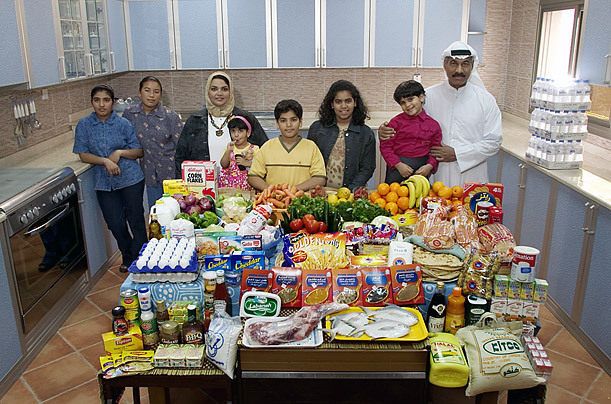 Other items on their shopping list include ready meals such as baked beans as well as convenience goods like ketchup, teabags and mayonnaise. 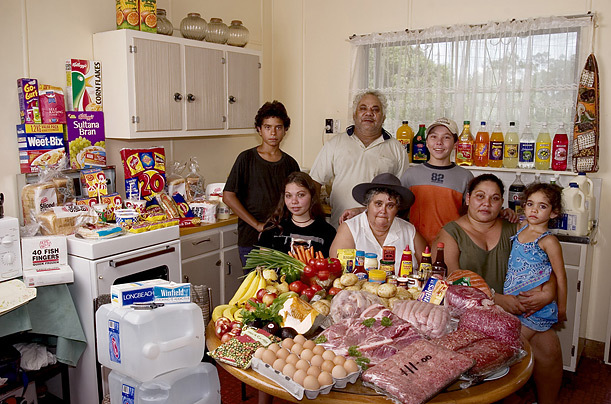 These pictures of their weekly food shop shows the sharp contrast between the eating habits of those in the UK and others around the globe. 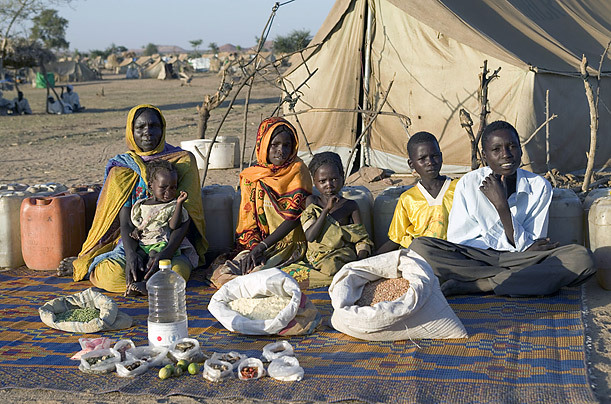 At a refugee camp in drought-hit Chad, north Africa, six members of the Aboubakar family are forced to last an entire week on a few bags of grain, air-dried mutton and a few jerrycans of water, costing around £37 a week. 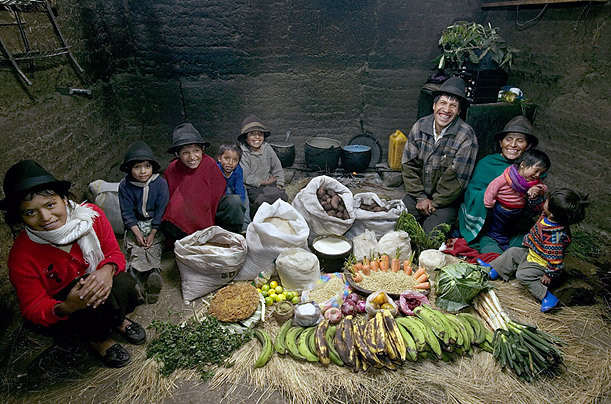 Families in Ecuador, South America, such as the Aymes, also struggle to survive on their measly provisions. 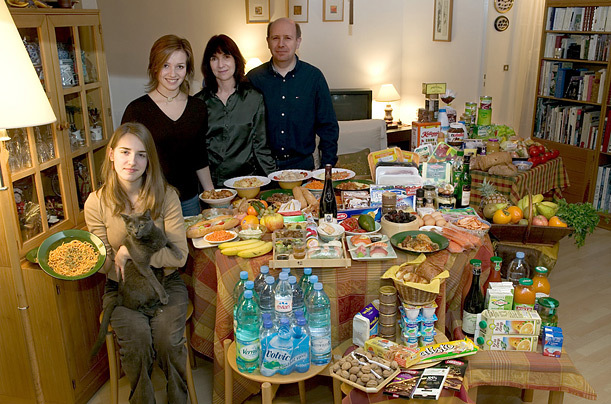 They have just £20 to buy a week's worth of food - usually cabbage and yams for soup - to feed a family of nine. But in other developed countries, the shopping lists resemble those of the UK. 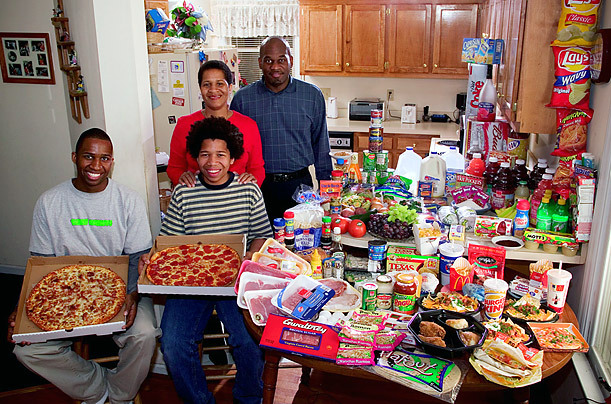 The Revis family in North Carolina, America, spend £220-a-week buying fast food such as pizza, Burger King and McDonald's to feed their family of four. 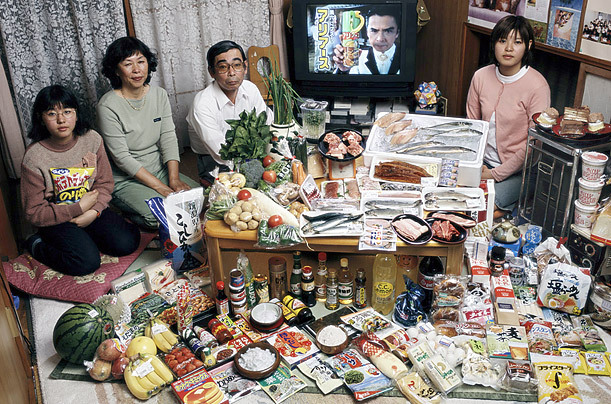 In Japan, the Ukita family spend £200 on their weekly shop which includes large amounts of expensive fish to cook dishes such as sashimi. 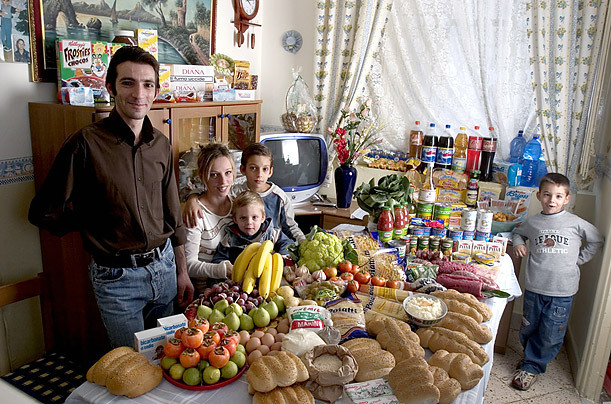 The Manzos family in Italy appear to have a more balanced diet with the fish, pasta and fresh fruit and vegetables appearing on their weekly £167 shopping list. 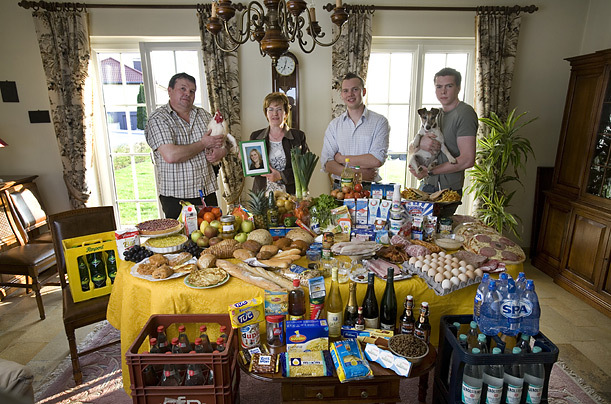 But the Melanders from Bargteheide, Germany beat them all with £320 spent on their weekly shop to feed four people. 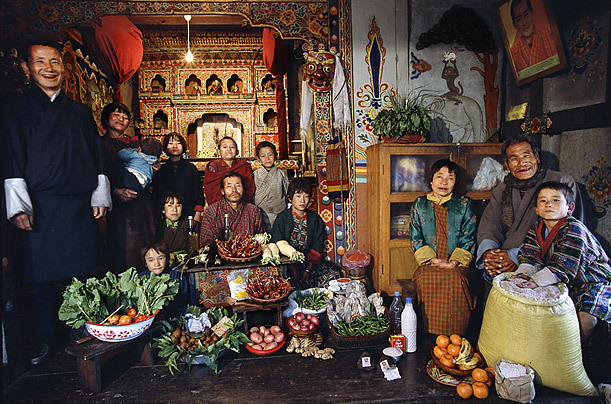 It is world's away from what the Namgay family from Shingkhey Village in Buhtan have to spend to feed 13 people - a mere £3.20. 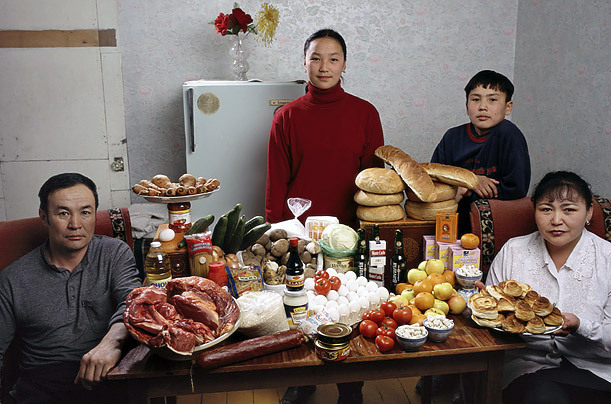 These unique snapshots of global eating habits are the subject of a new book, The Hungry Planet byPeter Menzel. 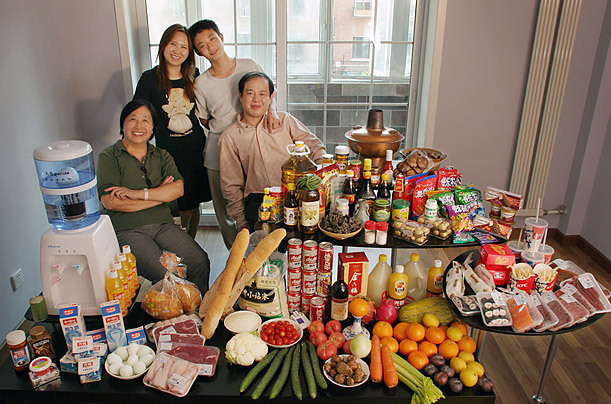 Each family's profile includes a detailed description of their weekly food purchases and a portrait of the entire family surrounded by a week's worth of groceries.